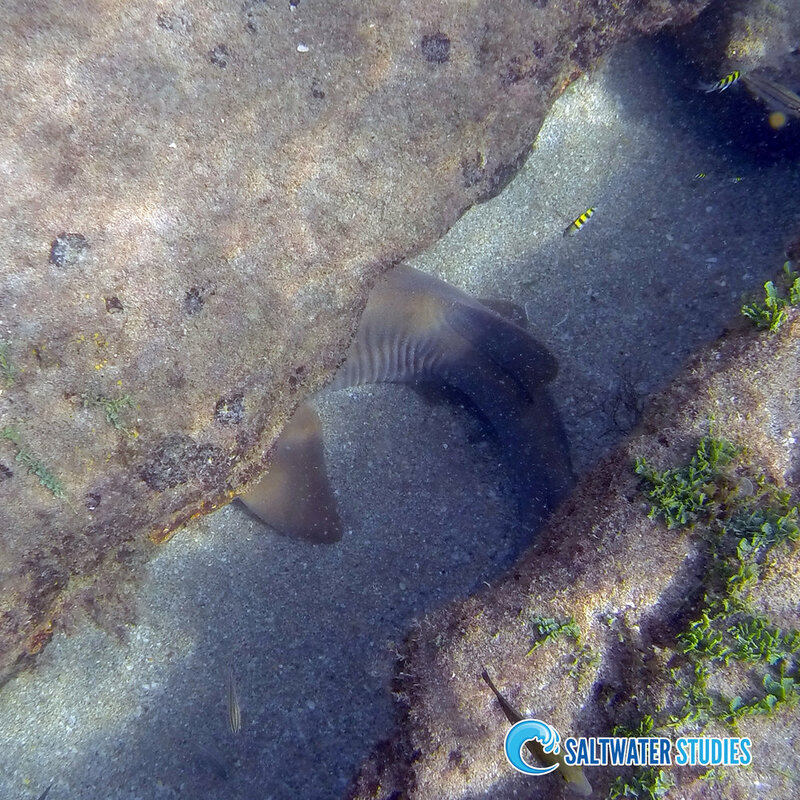 This is a picture of a nurse shark hiding under a rocky outcropping. This picture never should have happened. The fact that this image even exists is a miracle and testimony of the Lord. On this particular day, my waterproof case flooded and my underwater camera died. It was an extremely disappointing situation as I have come to greatly enjoy capturing images of the marine environment and sharing them with others. I tried multiple times to revive the camera over the next two weeks but to no avail. All seemed to be lost. The camera was completely dead. This past week, I just happened to try the camera one more time to see if I could retrieve the images off the memory card. There was a video of some reef fish in particular that I was hoping survived the unfortunate incident. To my complete surprise, after three weeks, the underwater camera turned on and functioned as normal. When I reviewed the memory card, I was even more surprised because the camera had functioned longer than I thought on that fateful day and it captured a number of images that I did not expect to see. This image of the nurse shark was the last picture that the camera took before it died. This is particularly significant because while many people are intimidated by sharks, they are actually a wonderful display of God’s mercy in Creation. As Romans 8:22 reminds us, the burden of sin causes all Creation to groan for a Savior. Death is a horrible result of man's sinful actions. But God's mercy towards Creation (and us!) even abounds in the face of sin's consequences. The same features that make sharks threatening to humans also help them to humanely dispatch weak, suffering and injured animals. In fact, many species of sharks are uniquely designed to target weak and injured prey, thereby ending their potential suffering. What a wonderful display of God's mercy even in the horrible consequence of sin! Now this animal has also become an illustration of God’s great mercy to me and a reminder of how He can resurrect anything - even a dead underwater camera.